August is a strange month to be sitting in a locked room. Curtains closed to keep the blaze of sunshine from the obscuring the computer’s glare. 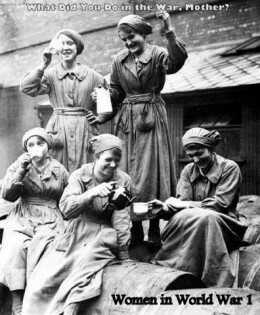 Half-starving, shivering in trenches (imaginatively) whist outside summer burgeons and allotments fatten. But I was excited to be leading my first digital writing residence and for seven days, it felt as if the flickering screen was my patch of sky. When I wasn’t googling research sites, jotting exercises or tweeting about it, I was waiting for the cheep of e-borne post. 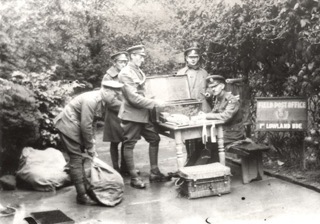 The residency was commissioned by Writing East Midlands in conjunction with a national body responsible for organising suitable cultural commemorations of WW1. 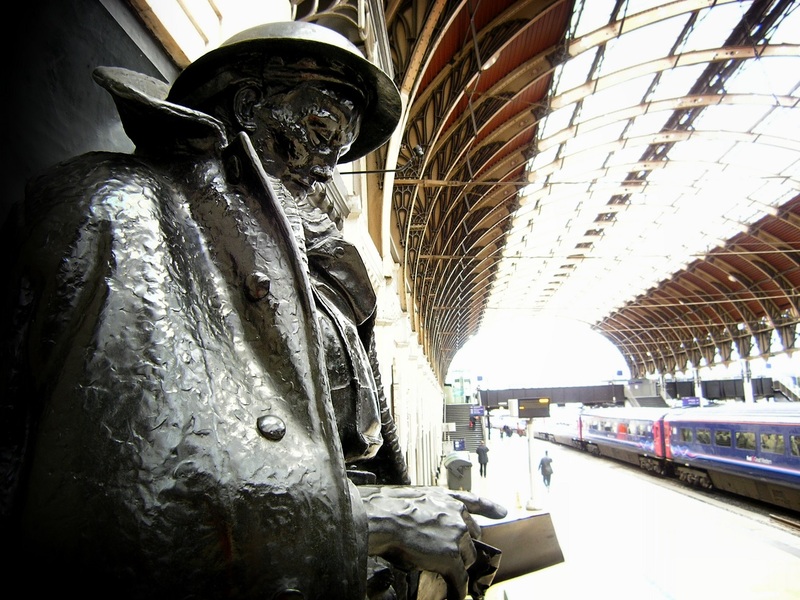 Someone in 14-18-NOW had the idea of a unique ‘memorial of words‘ from today’s generation and nationwide, schoolchildren, pensioners, squaddies and civilians, writers and other artists, were drafted to pen a Letter to the Unknown Soldier of Paddington Station. He’s an approachable soul. When you get above the height of the marble plinth, he looks like an ordinary young man from your street. In the bulky uniform of a WW1 Private, he wears a voluminous greatcoat and a non-regulation knitted scarf. He is reading a letter and the 14-18-NOW project invited us to write that Letter From Home. But we had seven days to play with so I devised exercises each day on themes around the Paddington statue – or ‘our friend Tommy‘ as we came to call him. Moving through reflections on the STATION, BOOTS, LETTER, HELMET, SCARF, GREATCOAT and MEMORIAL, we edged further and further into his nightmarish world of troop trains, trenches, shell-holes. It was impossible not to be disturbed, horrified and deeply saddened at the industrial slaughter and daily privations these Tommies suffered. For me, the experience was lightened by the beautiful writing and enthusiastic engagement of the week’s work-shoppers. As it turned out, these included some experienced writers, already knowledgeable about WW1. Each day along with writing prompts and exercises, I posted videos, images and web-links garnered from a wide range of on-line sources. We explored the WW1 ‘field’ postal depots and a French cottage industry producing silk embroidered postcards on a huge scale for soldiers to send home. We wrote about trench foot and shell-shock, about Boy Soldiers (Britain’s 250,000 underage recruits) and dawn executions. My ‘posties’ delivered witty, insightful and moving accounts of desert bombing raids, ‘Munitionettes’ and life on the Home Front too. After all, this ‘Total War’ not only spanned the globe but revolutionised social and gender relations as well as the technology of killing human beings in unforeseen numbers. A century on, a digital writing course is probably a fitting venture for 2014. The unpredictability of who and when was a challenge for me but the flexibility was appealing to workshoppers. With open access 24/7, they could pick through which of the resources and exercises they wanted to tackle and post when they were ready. An attempt at ‘live workshops’ faltered – it proved better for people to work at their own pace. But they could share the ‘texts’ they produced – poems, stories, dialogue fragments – and converse with each other via forum threads. I critiqued each piece posted but also found their feedback invaluable on my own attempts at exercises. So fruitful was this, that subsequently I have drafted a dozen ‘Unknown Soldier’ poems. An unexpected bonus. When we emerged blinking from this digital dug-out, it was the 4thAugust. 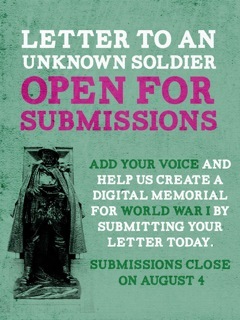 We were posting our final Letters just as the nation marked the 100th anniversary of the War declaration. A sobering moment. But also the culmination of a week’s creativity, exploring our own responses to war, and imaginatively re-entering that charged landscape of the past. I am grateful to WEM for the opportunity and to my ‘posties’ for their openness to writing challenges, their willingness to venture into some dark places and their companionship. I hope we shall see more of their WW1 writing but you can read their Letters to ‘our friend Tommy’ along with 21,408 others on the 14-18-NOW Unknown Soldier website. They will be available to read there until 2018 when they will be stored permanently in the British Library‘s digital archive. At which point, our voices and letters will merge into that polyphonic postbag that is our own ‘history’.